It is essential to learn proper form while drumming. It is your foundation of great technique and staying injury-free. 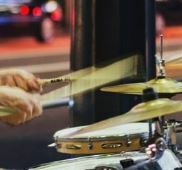 Many drummers often skip over the basics of learning how to hold their drumsticks, in favor of learning more advanced techniques. However, this can easily set you up for failure. In this article, we’re going to explain the basics of how to hold your drumsticks. 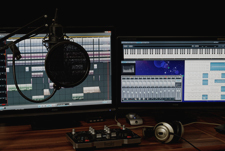 We go through the different options you have available, and what might be the best for you. The matched grip is a method where you use the same type of grip in both hands. This is very common in modern forms of drumming. It’s very easy to learn and it can have a number of distinct advantages over traditional grip for beginners (However, the traditional grip also has some great advantages). Although I always suggest the use of a great drum teacher, the matched grip is also a great method for self-learning and correction. The symmetrical nature of this grip allows you to compare stick placement and stroke of both of your hands. You can adapt the placement of your weaker hand to your stronger one. The matched grip is generally preferred if you require a lot of power out of your drumming. The left hand matched position is great for high volume rebound, strong snare strikes, and rim shots without causing excess shock to your wrist and forearm. 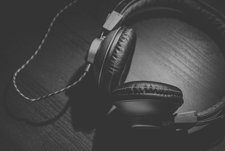 If you play modern genres of music then the matched grip is likely your best bet. There are three different main versions of the matched grip. It’s very useful to learn to play with each of these as they all have their advantages. When using the French grip, your palms face each other and your strokes are mainly powered by your fingers. The German matched grip is quite different, where your palms face down and your strokes are powered by your wrist. The American grip uses a combination of both and is very popular because it is a very comfortable and versatile grip. Here is a very useful video on how to use the French grip. It’s particularly useful to switch to this grip when playing expressive strokes on your ride cymbal. So that’s almost everything you need to know about the different variations of the matched grip. Be sure to practice in front of a mirror and keep conscious of maintaining good form. The traditional grip is something quite different. It’s heavily used in jazz music and drum corps. It is a very interesting grip and particularly allows you to get great subtle strokes on your snare hits at low volumes. 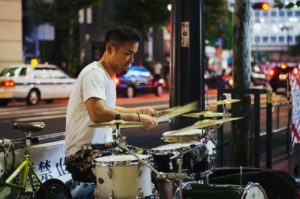 The traditional grip is generally more difficult to learn; therefore you should try to get a good drum teacher to show you how to perform this movement correctly. 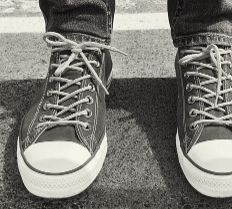 It requires more correction and subtlety, which can cause injury later on if done incorrectly. Check out this great video, which shows you how to perform the traditional grip. The best way to improve your stick technique is by isolating and practicing your movements. A practice pad is a great option for this as they are quiet and can be easily packed into a bag. 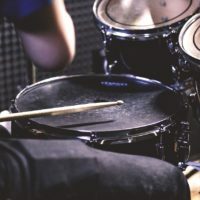 The improvements to your rebounds, technique, and rudiments allow you to practice holding your drumsticks through different movements. These are then instantly transferable to playing on a drum kit. A practice pad forces you to focus on these movements, and I always recommend one as an absolutely essential item for any drummer. 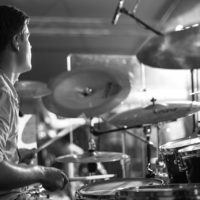 Poor technique can greatly lower your efficiency and freedom of expression while drumming. Drumsticks should be held using a method that encourages very natural and fluid movements. Fast stick movements can be much easier to achieve when you get out of the way of your drumstick and allow the stick to naturally rebound. This can be achieved by loosening your grip and slowly learning the motion of your drum strokes using a practice pad. Holding your drumsticks badly can also lead to some serious overuse injuries of your wrist and forearms. The most common issue is caused by holding your sticks too tightly. This inhibits the natural rebound of the drumstick and causes excess shock to be absorbed by your joints. Wrists are an incredibly complex part of your body. 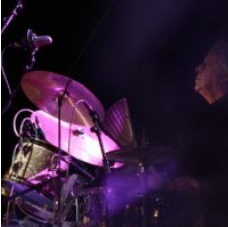 Chronic injuries can be very difficult to treat, therefore you should make every effort to ensure that you are holding your drumsticks correctly. Choosing the correct stick grip can also help prevent against injuries. If you’re commonly feeling dull or sharp pains while drumming, you need to stop and examine your stick grip. Otherwise, your doctor might eventually tell you to stop drumming. Taking the time to properly learn how to hold your drumsticks might be one of the best things you’ve ever done as a drummer. 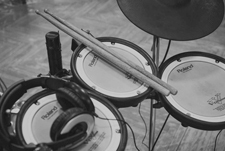 You should treat your drumming in the same way as if you were learning an exercise in the gym. Always maintain correct form, everything else comes after that. 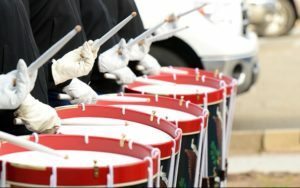 Drumming can cause excess shock to your joints unless it’s done correctly. I hope the advice and resources on this article were useful.